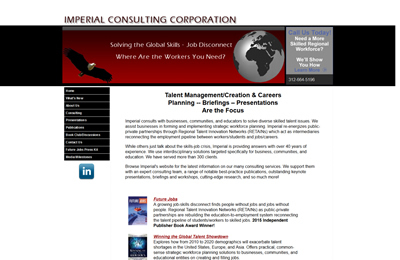 Imperial Consulting Corporation, founded by Edward E. Gordon, provides advanced education and talent improvement programs for tens of thousands of individuals and hundreds of organizations. 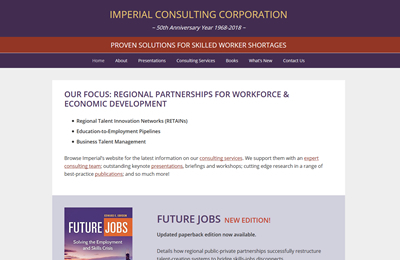 They focus on solving the skills-jobs disconnect by helping clients plan and implement workforce restructuring and development by forming a Regional Talent Innovation Network. 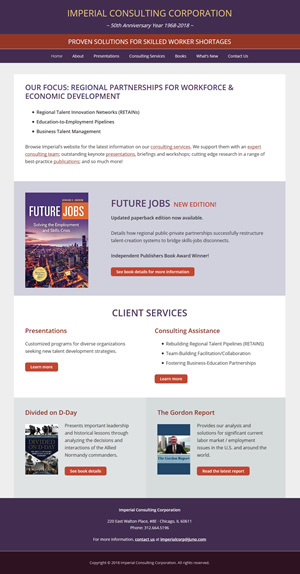 The release of Edward Gordon’s new book and the company’s celebration of 50 years in business required a complete website redesign, replacing a static HTML website with a mobile-responsive WordPress site. My tasks included transferring the domain name to a new registrar and moving the website to a new web hosting company. The new design’s color scheme complements the new book’s cover and featured images. Drop-down menus and breadcrumb menus make navigating within content sections easy. 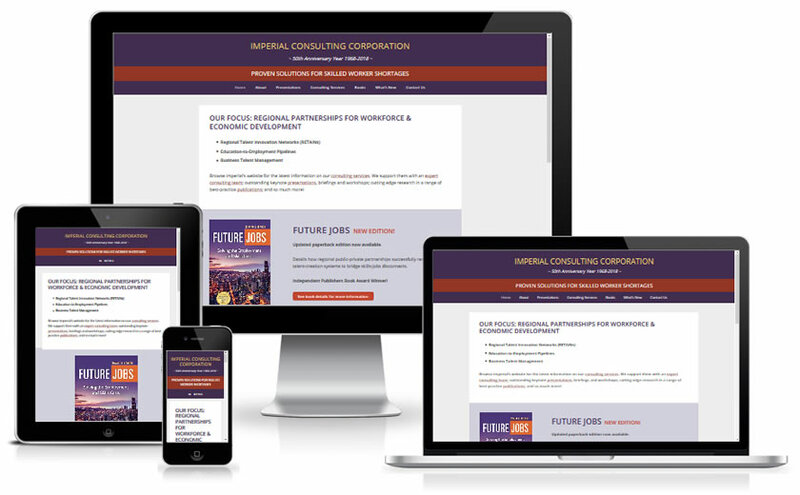 Contact information is located in the footer on every page for easy access. 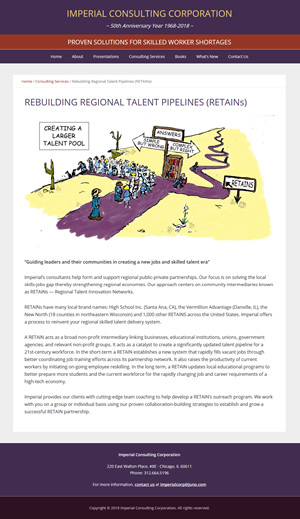 The Gordon Report newsletter is archived on the website in PDF format.